An old-school beachfront villa in Barbados: These beachfront rentals come with a cook and maid/laundress which makes your trip a true vacation! 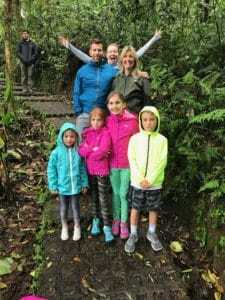 Costa Rica: Zip lining, the Bug Lady, family oriented small resorts and private rentals, plus private guides who let you go at your own pace and handle an impromptu bathroom detour – all these factors make Costa Rica Pura Vida! 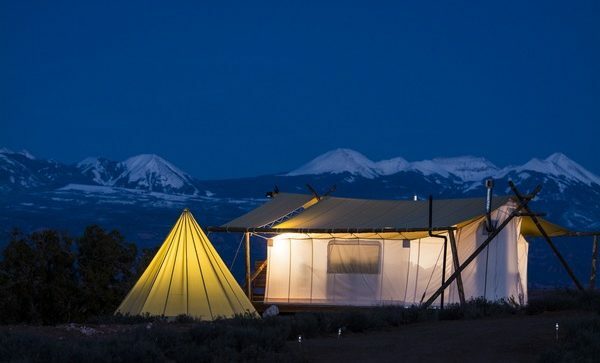 A Dude Ranch: Ranches like Rock Springs Guest Ranch in Bend OR offer special kids’ programs like the egg-n-spoon race in the weekly rodeo, kiddie wranglers, debris-shelter building, and more! (there was even a staged cowboy kidnap!) Your kids won’t want to go home. Italy: With an AirBnB’s kitchen, meals are easy. With child-specialized guides, even the Vatican comes to life. Throw in a pizza-making afternoon and set up my Lost in Translation activity – and even a European city welcomes your family with “littles”. Cuba: Many families with older kids – mine included – appreciate the history, are old enough to deal with the rum and art venues, and enjoy the safe independence of going out on their own in Old Town at night. Older kids tend to be lighter-on-their-feet when things don’t go as planned – which is the ONLY thing you can count on in Cuba. Check out the above video for all that is possible with millennials in Havana! San Fran: Biking, “oyster paddles” on Tamales Bay, sensory tasting seminars in Napa — it’s all suited for the older set. Paris: Victoria treated her 3 nieces to a Paris trip to visit the University and share dinner in the home of a local with Meeting The French. Morocco: Camels and cooking tangines. Souks and and dunes. Oh my! Normandy Country House: Not a villa with fancy furniture and formal gardens, but a country house with shabby chic interior and vast lawns for bocce and soccer (and a pool! ), a country house in western France situates you perfectly for WW II history days, lots of French market towns, and a very special Rare Finds’ day at Mont St Michel. Beach house on Maui: Karen and her husband hosted not just their kids but also both sets of grandparents in this Maui villa. Key West commune: With some advanced planning, Rare Finds managed to set up all 29 of Clara’s extended family in a commune of Conch cottages off of Duval Street, and it turns out to be the perfect venue for a mixed-age group. The older folks held court around the central pool and visited with everyone as they came and went. Young ‘uns could enjoy quiet Fort Zach beach. Teenagers loved the Pirate Museum and the jetski tour. College kids could head out to her music. And all 3 generations visited the farmers’ market for ingredients for meals which they cooked in their individual cottages and shared family-style around the pool. 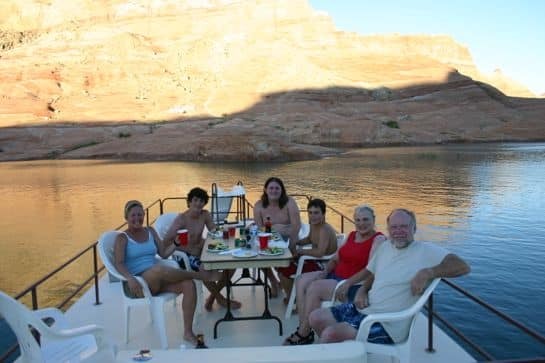 Lake Powell houseboat: Fishing derbies and waterslides by day, beach bonfires and sleeping under a star of powdered sugar… here we are, hangin’ on a houseboat in Lake Powell. Read the full story here. Cabins on Lake George: Give each family their own cabin. Bring games like giant bubbles. Share progressive dinners over the campfire. And top it all off with a pontoon boat rental out on the lake. 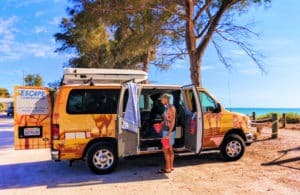 OBX: The OBX (or Outer Banks of North Carolina for you newbies) lets you camp on Ocracoke, crab on Cape Hatteras, ride the waves on Rodanthe, and tie the whole experience together with an easy roadtrip… ferry included so its roundtrip! Las Vegas: Circus Circus’ rooms go for $48/night. Free shows on strip feature the pirates. Live Mermaid Show is a hoot. Car rentals are cheap and let you drive to Grand Canyon or Lake Mead – and did you notice? It’s all gambling-free if you like. Bird Island: Get dropped off at this private island in Belize. Better come fully provisioned because when the owner drops you off, you are a l-o-n-g way from the nearest market. 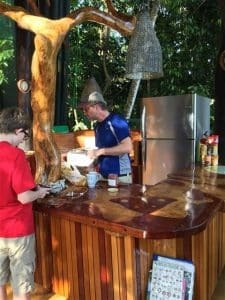 Osa treehouse: Where can you scramble eggs while the howler monkeys supervise? At this amazing privately owned 3-story treehouse down on the Osa peninsula in Costa Rica. 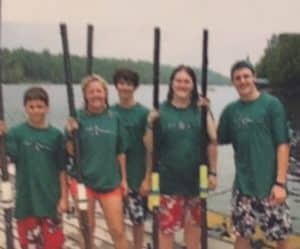 Sculling camp in VT: 4 boys + 1 quad + 4 days = gobs of fun! 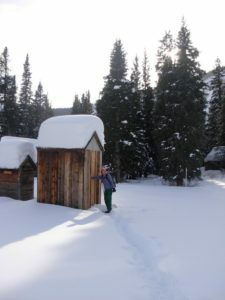 Backcountry hut adventure: We hired a guide to nordic ski to this backcountry biosphere in Crested Butte but hiking at Mt Washington in summertime is fun too. Looking for a fantastic trip? A place that will make this summer unforgettable? 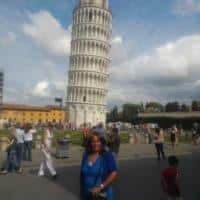 I’m Melanie Tucker, and after traveling with my own 4 sons every summer for 6 weeks as they were growing up, I have it down! And I can help YOU! Call today for a free chat, and imagine the possibilities! This entry was posted in Tales from the Trip. Bookmark this page. Thank you for getting us all the way AROUND THE WORLD!